So I was driving though town and I noticed the low low price of gas at every gas station, it was beautiful, but then I started thinking. What happens when the pendulum swings the other way? I mean right now we are living the life- well some of us. A lot of people who works in the oil industry are not doing so hot. A lot of layoffs are happening and what not. 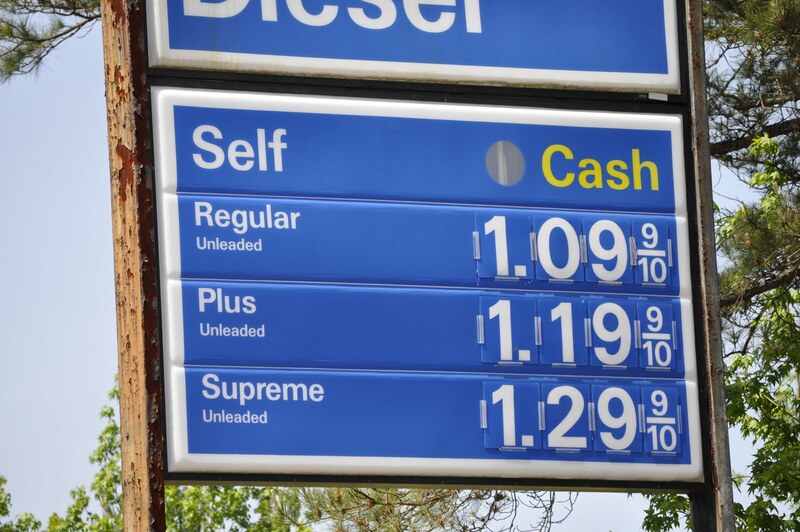 – so what happens when gas prices starts to go up -because well…. it will go up- what then? Am I prepared? Is any body prepared? And the answer I came to the conclusion was….no! No body -that I know of including myself- is prepared. We are enjoying this chance and jumping for joy but we are not actually taking the time to use this to our advantage. Then I started thinking some more, because that’s how I roll, and I begun to realized that this would be a great opportunity to start saving even more. See with lower gas prices I and a bunch of other people can now afford a lot of things that we didn’t before. Things such as healthy foods, fashionable clothes and fancy electronics we do not really need but want. Which is great. Fancy new toys are great. But I also realized it also means that I can save up a whole lot more too. With that extra pocket change I can now increased my saving from what it is right now to something more. I can also use this opportunity to start buying stock on the market and maybe set aside money to buy a hybrid car or something. I mean at these low prices I can afford to do a lot of things. We can all afford to do a lot of things we did not have the chance to do such as saving more or something. So I guess what I am trying to say is that having these low low gas prices is great and all but is anyone using this opportunity? If so tell me how.